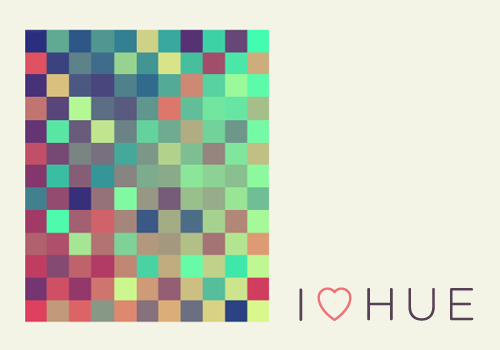 Coming soon to iOS and Android: A gentle game about colour harmony. 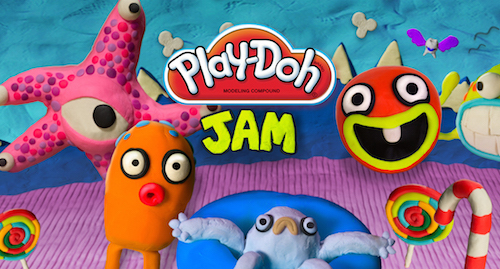 Level design, monetization and economy balancing for Play-Doh Jam, a free-to-play mobile game for kids. I’m Lead Designer at Fat Pebble. 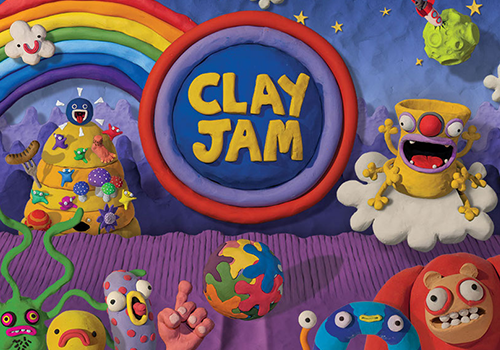 We make delightful hand-made games like Clay Jam, the award-winning monster action game! 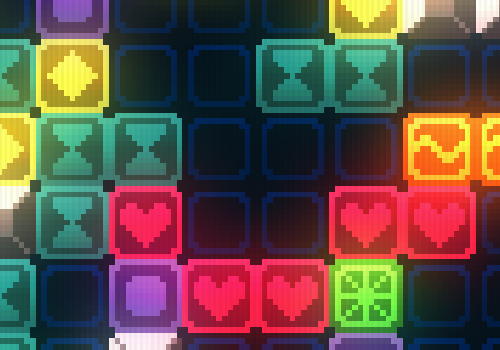 I made GlowGrid, a minimalist, retro puzzle game with a neon aesthetic and a dreamy 80s synth soundtrack. It plays like a classic – simple mechanics leading to deep, strategic gameplay. Featured as a Best New Game on the App Store and as a best new iPad/iPhone in The Guardian. For my Masters dissertation as part of the Evolutionary & Adaptive Systems degree at Sussex I conducted research into the use of motion controlled videogames for physical rehabilitation. There has been a lot of interest in this field recently, however I found that the games produced so far typically have not been designed by games professionals and are consequently low on the fun factor. As a starting step towards remedying this, I performed an experiment investigating the effect of player engagement on body movement: Can changing the type or level of player engagement lead to different types of body movement? If so, then a well designed rehabilitation game could manipulate a patient’s physical movements simply by virtue of them being immersed in the game. 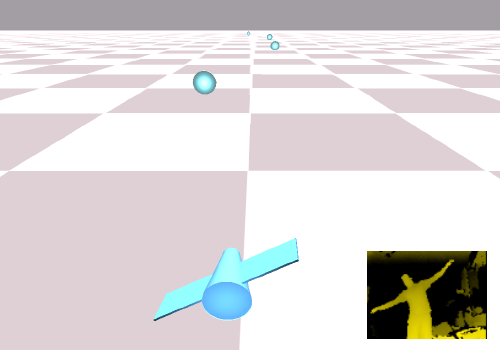 The experiment was achieved using the Microsoft Kinect hardware and built in Unity. Pushcat, the first title from my indie game studio, Zut, is out! Another collaboration with Gary J. Lucken, Pushcat borrows the basic dig-and-push mechanics of Boulder Dash and adds elements of Match 3, resulting in an original, fast-paced mix of puzzle and action arcade gameplay. 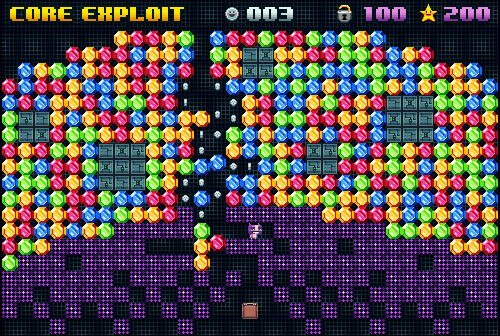 The player plays the hero Pushcat, a purple cat who just loves silver – which he creates by combining gems of the same colour. As he progresses through the game new elements are gradually built on top of this basic mechanic, then mixed and matched to produce a wide variety of different play experiences – from slower, puzzle-based levels to action-packed, chaotic madness. 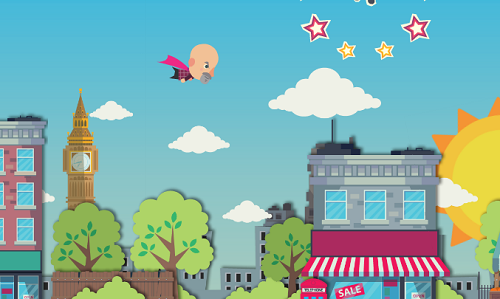 Design and code for an epic fly’n’roll quest through the streets of London, promoting BBC Radio 1 Hackney Weekend 2012. Produced by Littleloud with art by Gary J. Lucken. Produced by Littleloud with art by Gary J. Lucken and music by Michael Reaney. I designed the game mechanics, programmed it and had lots of fun (and a few late nights) building the levels. 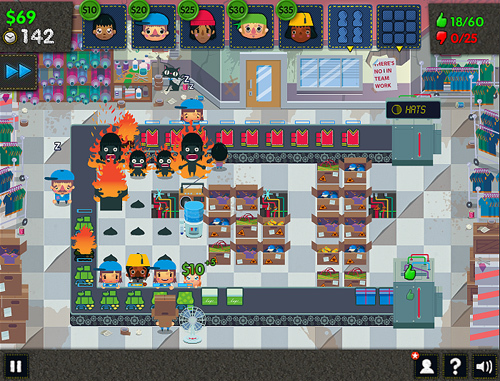 I worked with Kerb to make a few minigames for the BAFTA-nominated Misfits campaign for E4. I’ve been working closely with the CBBC R&D department to design and prototype a series of game engine templates which can be skinned, modified and extended. The project goal is to allow development teams within CBBC to be able to theme a game template for a particular brand without the need for much-squabbled-over technical resources or outsourcing to external agencies. Thus putting myself out of a job. So far I’ve worked on a very flexible board-game engine, complete with AI, a ‘cannon’ game template (eg. Tracy Beaker Party), a ‘break-out’ type game, and more to follow! I love this kind of work as it allows me to focus on gameplay and production workflow rather than the ‘final 20%’ aspect which for me is the most laborious part of Flash production. 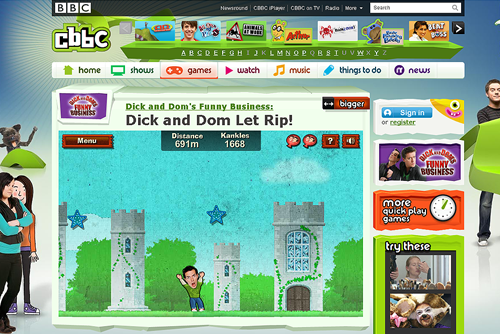 A multiplayer game for CBBC, based on the TV quiz show of the same name. Players must work together to complete a series of tasks… apart from the saboteur, who must scupper their plans! This was a pretty ambitious project. 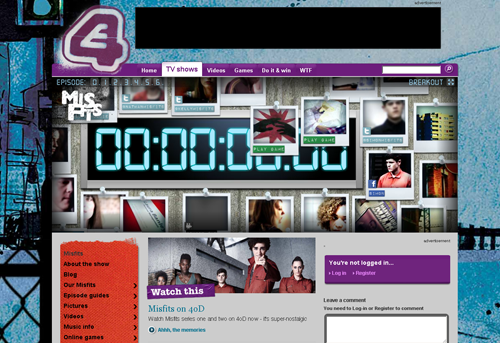 I worked closely with the BBC Prototyping team to get a multiplayer server up and running on BBC infrastructure – no mean feat. I designed the games, built the Flash client and prototyped the server-side too. Note to self: Multiplayer games are HARD to make. 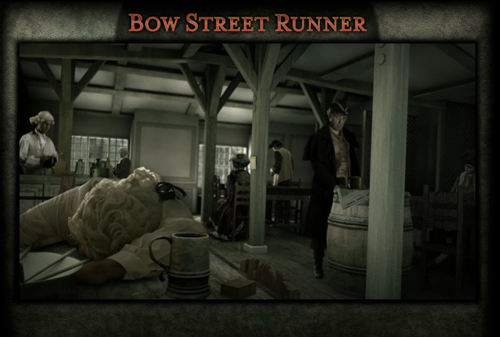 Bow Street Runner is an interactive drama produced by Littleloud for Channel 4 set deep in the seedy gin-soaked underground of Georgian London. I designed and built the game engine and a content management system driven by Google Docs. It won loads of awards, including a BAFTA! 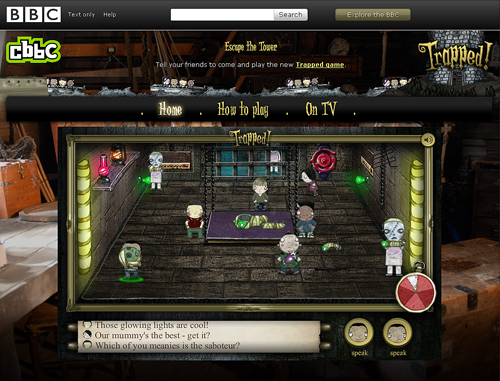 Watch a trailer here or play it here. I design and develop games, and am looking to get involved in projects where the emphasis is on fun, play and creativity. Alongside freelance consultancy work I run Zut Games, an independent studio dedicated to creating games with simple, fun mechanics and retro aesthetics. I'm also particularly interested in the potential of games for purposes that are not purely entertainment - e.g. games for education, rehabilitation and 'serious' games. I recently completed an MSc in Evolutionary & Adaptive Systems at Sussex. For my Masters thesis I conducted original research into the use of videogames for physical therapy.